This page shows the latest research spend news and features for those working in and with pharma, biotech and healthcare. 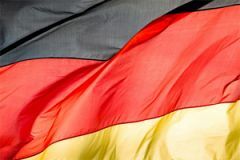 Germany's pharmaceutical market will only 'crawl' forward for the rest of the decade as the country looks to reduce spend on new medicines, according to research and consulting firm GlobalData. Without it we wouldn't have received over £140, 000 to spend on life-saving research.”. ... Cancer Research UK said it had had more than 800, 000 text donations in the latter half of last week, raising close to £1.5m. It's difficult to empathise. Marketers must spend time in immersive research, ie, in the day to day lives of patients. ... 5.Be better than before. How much research is done to improve patients' experience of existing products? Do patients have the most appropriate medicines for the best health outcomes?